Nancy J. "Gussie" Martin, daughter of Peter Martin and Jane Garthwaite, was born June 22, 1851 in Luzerne Co., Pennsylvania and died July 15, 1930 in Mt. Vernon, Posey Co., Indiana. 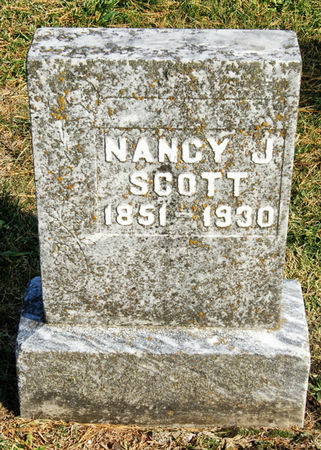 She married 1) Frank Cole and 2) John Winfield Scott May 8, 1885. MARTIN COLE, Nancy J. "Gussie"
Searching for NANCY J. "GUSSIE" MARTIN SCOTT in Taylor County Iowa?